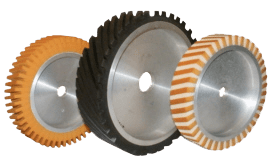 Due to their outstanding cutting effect and the grinding active additives, abrasive belts with zirconia aluminium oxide make an aggressive material output possible during belt grinding. For the dry treatment of stainless steels and steels, which are resistant to elevated temperatures, the use of abrasive belts with zirconia aluminium oxide with a so called Top-Size additional layer is recommended. This additional active grinding layer increases the machining output many times over and reduces the working temperature at the grinding point significantly. The cool grinding also makes an increase in the abrasive belt’s service life possible. 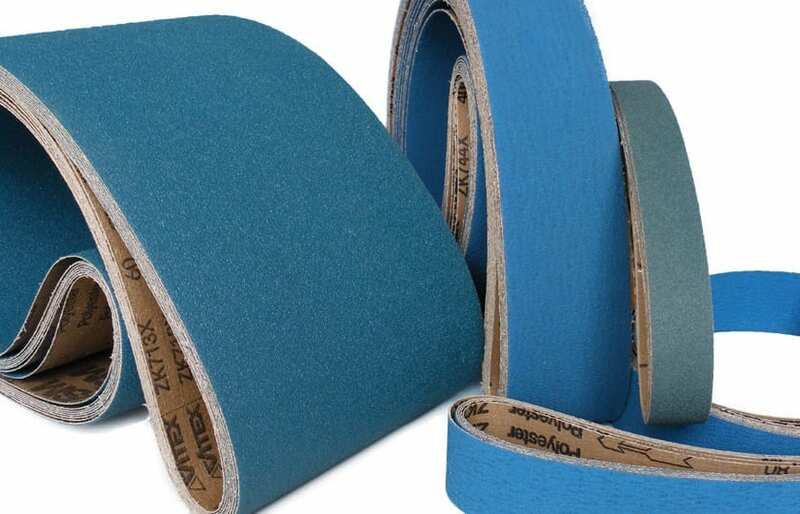 With the continuous production of new cutting edges over the entire service life, the abrasive belt with zirconia aluminium oxide provides for very good surface quality. Continuously high output because of an optimal utilisation of the abrasive belt. A special advantage is that the zirconia aluminium oxide sharpens itself repeatedly to a specific degree during grinding and thus maintains its aggressiveness. The zirconia aluminium oxide almost completely prevents clogging of the abrasive belt. Additional grinding active additives contribute significantly to a very high grinding output and to a long service life for the abrasive belt. Better grinding output is only achieved with abrasive belts with ceramic grains. Fewer work steps and the corresponding cost reduction connected with faster treatment of workpieces, while at the same time improving the surface quality, justify the use of abrasive belts with zirconia aluminium oxide.